• The most contentious suggestion is that a small portion—about 10 to 15 per cent of the 40 hectares—should be set aside for residential development. While Tory specifically warned against an unwelcoming barricade of towers, he said the site is “underutilized,” and development wouldn’t detract from its use as an urban park. NDPer Rosario Marchese, the MPP for the area, said that proposal is tantamount to selling off Ontario Place to the highest bidders. “It will be a private space for millionaires,” he warned. • The site should generate revenue through concerts and theatre performances in a new venue similar to the Forum, which was demolished in 1994 to make room for the Molson Amphitheatre. • The new multi-use complex, including the concert venue, should be open year-round, not just in the summer. 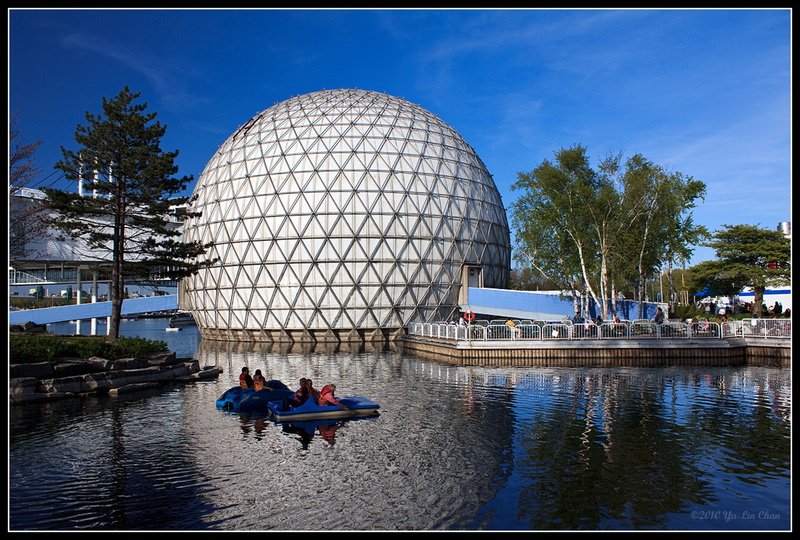 • The designs should try to incorporate the iconic/bizarre Cinesphere and pods. • The public areas of the complex should be free. “We see Ontario Place as a new public backyard for all Ontarians,” Tory said. This will have the same problem as every other condo development in this city: Condos without proper infrastructure to support them. Hundreds and hundreds of condos have been built in this city in the last decade but there has been no new transit expansion (Ontario Place runs near the Lakeshore GO train line but there has been no move to run trains on that line more than once an hour), not enough schools (a school needs to be built here, which there is plenty of room for, because we we should not be building neighbourhoods that are not child-friendly), not enough money spent maintaining and expanding power/water/sewer infrastructure, etc. More Condos!?! How moronic! There is not enough to attract more Tourists to this City and places for Families to have fun or have events or just have fun and now there will be more Condos, for heavens sake, get a clue John Tory! It’s time to start (excuse the oft-used cliche)thinking “outside the box” on this one. Ontario Place was once a leading tourist destination. Why not keep this use in mind moving forward!! Sell the lands to Disney or partner up and have them build a “Disney North” amusement complex, complete with retractable roofing so that it can be enjoyed year round (wouldn’t that be unique). Disney has proven they can boost tourist revenue, run things efficiently and stand the test of time. Save the civic funds,public space makeover and ubiquitous condo plans for the ailing CNE. Need tax revenue? Have Disney throw in a couple of mid-rise, aesthetically appealing hotels. This ought to help the outmoded Ontario Place reinvent itself as a premier tourist destination. It is a sad day when “Ontario Place” is owned by “developers.” I watched that “place” be built, and experienced wonderful times there throughout the years – when it was a “place for everyone”.